Raley Field, home of the Sacramento River Cats. (Via Flickr.com user Logan Sakai). Major League Baseball’s regular season is beginning to wind down, and teams are starting to call up some of their best minor league talent. These young prospects aren’t appearing out of thin air; MLB’s minor league system is an elaborate mechanism that regularly churns out top big-league talent. MiLB has its own culture, economics and logistics that set it apart from its parent league. But while most baseball fans focus exclusively on the top-100 prospects coming out of Class A, Double A and Triple A (the three levels of MiLB), few stop to think about the business side of MLB’s younger sibling. To shed some light on this topic, here are a few things you should know about baseball’s vast farm system. Minor league teams have a unique business model. Their stadiums are small compared with their big league counterparts, and the average MiLB ticket costs $7. Judging from those factors, one would come to the conclusion that very few minor league teams post a profit every year. Sixteen of the top 20 most valuable MiLB clubs, however, did just that in 2013, according to Forbes. The business magazine says the Sacramento River Cats (MLB affiliate: Oakland Athletics) are worth $38 million, and raked in $14 million in 2013. Ball clubs like the River Cats can do this thanks to a combination of things. Many minor league teams pull in big revenue from naming rights and consistent ticket sales. But the fact that their Major League affiliates pay for their entire rosters — including coaches — lowers their overhead drastically, writes Yahoo Sports. Some have slashed their operational costs even further by convincing their host cities to fork over millions of dollars in taxpayer money to build new stadiums. In return, those townies get access to very cheap family entertainment, as Yahoo points out. A typical MLB ticket costs $27, and if you’re going to the game with your family that price adds up fast once you add on the cost of food and parking. So, taken at face value, both consumers and owners benefit from MLB teams funding much of their affiliates’ operating costs. Get today’s business news in your inbox–sign up for our daily Must Read Money Stories. But besides offering families cheap entertainment, it appears having a minor league team in your city adds little, if any, economic value. The study concludes that overall there were negligible positive economic effects of hosting a minor league team, except for the prestige of the connection with a major league city. And, more often than not, these big ball clubs ask that the towns help them build their own away stadiums. Our own Micheline Maynard touched on this in a story late last year about the Arizona Fall League. 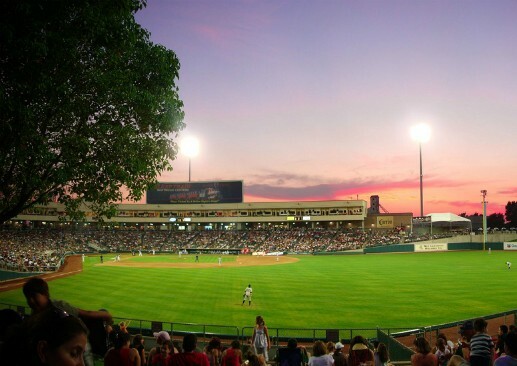 The city of Mesa, Ariz., financed $100 million to build the Chicago Cubs’ Sloan Park, home of the AFL Solar Sox as well as the Cubs’ spring training facility. It was a big gamble for the community, especially since the AFL only lasts two months, in addition to slightly more than a month of spring training games. But, Sloan Park has gotten plenty of visits from out of town fans eager to see one of the newest parks in spring training. These are just a few topics about the business of MiLB. If this story has piqued your interest, I highly suggest you read this article from Mother Jones about minor leaguers’ dismal compensation. For story ideas, check on the economics of your local minor league team. What is its value? How many games sell out? Are there giveaways? How about the presence of the major league club? And, do you see people walking around in minor league jerseys?